The Shortbill Spearfish, Tetrapturus angustirostris, is a species of marlin native to the Indian and Pacific Oceans, with occasional records from the Atlantic Ocean. This species occurs in open waters not far from the surface. This species can reach a length of 230 cm (91 in), though most do not exceed 190 cm (75 in). The maximum recorded weight for this species is 52 kg (115 lb). It is of minor importance to commercial fisheries and is also a game fish. 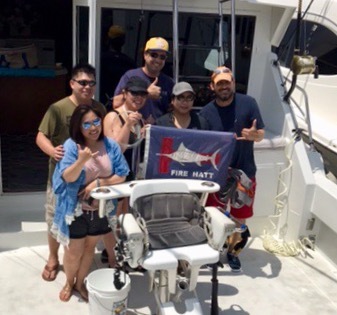 Featured in Lower photo is a prime species Shortbill Spearfish sucessfully released here in Kona Hawaii by First Mate Brett Lazenby aboard Fire Hatt. It’s that time of year when our Charter boat FIRE HATT has booked some Tournaments here in Kona Hawaii, and we still have some tournament openings. A couple of high stakes tournaments are completely open and we are looking for one angler to team up with another angler for the Big Island Marlin Tournament, August 24-25-26, a three fishing day tournament and typically large payout. We are also wide open for the first tournament of the season, The Rock ‘n Reel Tournament on June 10 and 11. These high stakes and high adventure events can instantly change your fortune. 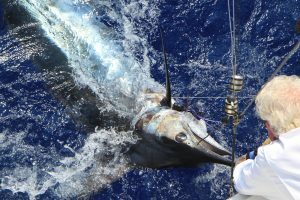 Check out our website firehattsportfishing.com to see who we are and also Hawaii Marlin Tournament Series to see details of all events. May is the beginning of the two month transition of water temperatures to summer fishing here in Kona, Hawaii. The cooler (78 to 79 degrees) water will change to the July through October 80 to 84 degree water temps. Some of our fish population such as Striped Marlin and Mahi will move on as the water warms up. 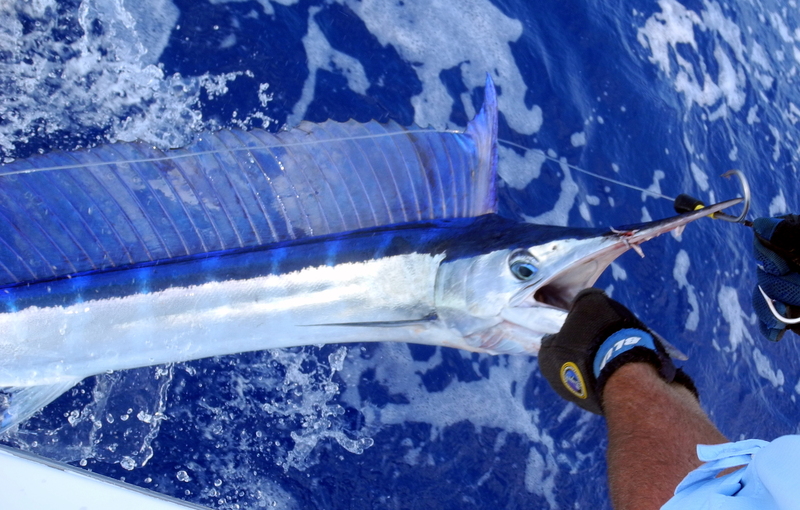 They prefer the cooler water temps, and are replaced by vast numbers of Blue Marlin and large Ahi (Yellowfin) Tuna. No question we have year round populations of Blue Marlin and Mahi, it’s just that their numbers diminish with the warmer summer season. 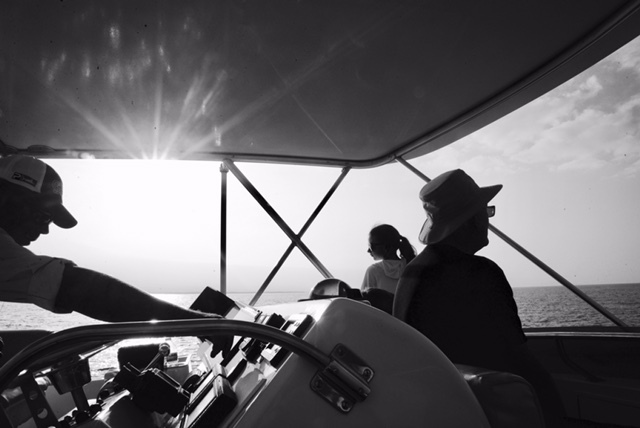 We will see our water temp rising to around 80 and increasing numbers of Blue Marlin and Ahi. If you are considering fishing one of the Kona Marlin Tournaments in summer 2017, now is the time to book your boat and crew. 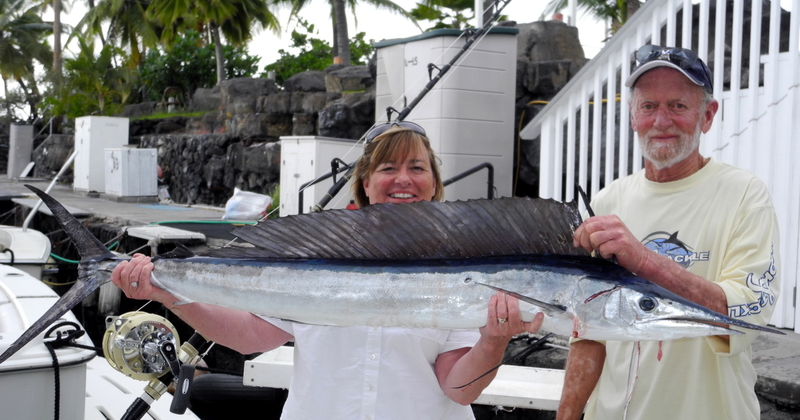 The end of June and first two weeks of July is no doubt one of the best one month of Tournament Marlin fishing found anywhere in the World, right here in Kona. Contact me at 808.987.0038 for information either fishing with us or one of our recommended boats. Come on over to Kona and enjoy some of the safest and fun family times you will ever have here in Paradise. The Tournament that kicks it all off. Local Style. Largest flag fish of each category splits purse. Kona’s signature Big Game tournament. Marlin and Ahi points are scored for base purse. Winner Take All for the Biggest Marlin of the Tournament from the Base Entry Fee. Two Biggest Marlin Winner Take All Categories. Patterned after the golf format. 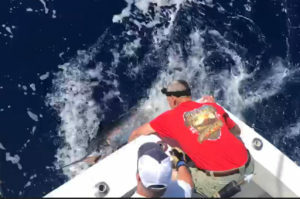 Daily purse is available for the largest marlin over 500 lbs. The Hawaii Lure Makers Challenge fishes exactly like the September Challenge did, we have simply added a category for teams sponsored by lure makers to compete against each other to prove which is the most productive lure brand. 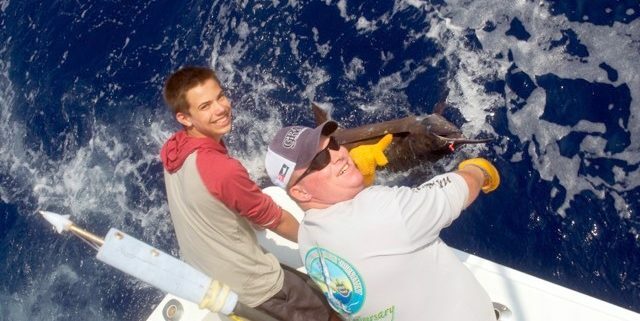 Kona’s first high stakes, big game tournament to pay cash for tag and release AND big marlin. Founded in 1987. 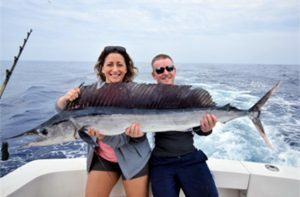 Built on prestige, trophies and strict International Game Fish Association (IGFA) rules for world records, teams from around the world gather to fish the world-famous waters off the Kona Coast and a chance of capturing the HIBT’s prestigious Governor’s trophy. This tournament will follow the HMT Series Points scoring system, so that all teams in the running can Wrap the season competing for all possible points.